The 2016 Production Book is now on sale. Pre-order your copy and go into the draw to WIN a 50” 4k Ultra HD LED Viera Panasonic TV. Current Screenworks members can purchase The 2016 Production Book at the special price of $110 inc GST. To access the promotion code, please use the Members Login and then CLICK HERE. The Production Book is the most comprehensive and reliable resource directory for the film, television, advertising and multimedia industries in Australia. In our 25th Anniversary edition we bring you some great behind the scenes shots celebrating the people of the industry, plus we have also included listings for New Zealand to bring you an even more comprehensive resource to help with all your production needs. 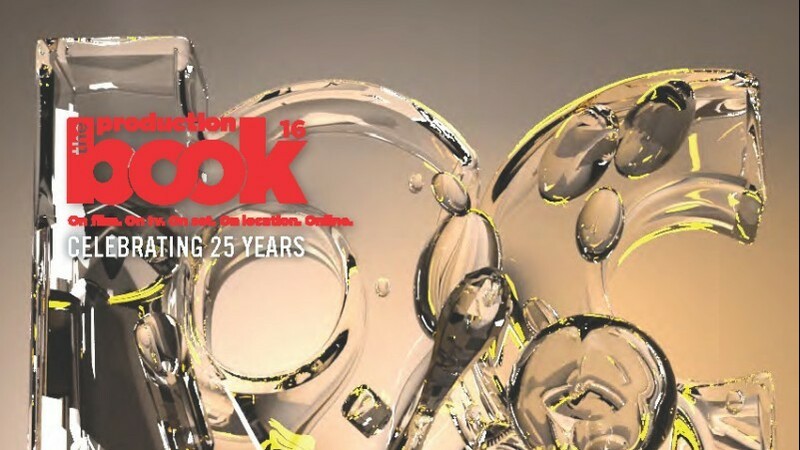 Since 1990, The Production Book has been supporting the entertainment industry throughout Australia with the most comprehensive production resources for film, TV and media production. With diligent editorial procedures which in turn produce thorough listings plus a stature for quality and integrity. The Production Book is widely and often affectionately known as The Bible of the Australian industry. The Production Book allows you to research crew, equipment, location services, studios, production facilities and much more nationally. Not only a directory, the Production Book has put together information that is designed to assist you with all your production needs including sunrise and sunset times, film weight charts, distances between cities as well as film and television production information since 1991. The Production Book supports Screenworks as a Media Partner.